I feel like a bad blogger at the moment. I've been doing stupid overtime hours. Getting up at 6 to work on your day off, anyone? No? I thought not. The only reason I say yes is because I see £££, but when it comes down to working it I'm just like, why in the world did I say yes? So please forgive my partial Twitter and posting absence. This is a little late as reason mentioned above. The end of last week and this week has been pretty good. I had a ton of fruit, strawberries, grapes etc. Which I just ate on their own. Love them. But now I have no money till I get paid so I'm not really able to get any. Don't you just hate that? But it means I'm not snacking on anything bad because I just don't have anything. I tried these new yoghurts that came out quite recently because I love the Milkybar ones but they're a bit to sweet (and more then twice the calories)! They're very similar and great if you just want something to stop that chocolate craving. 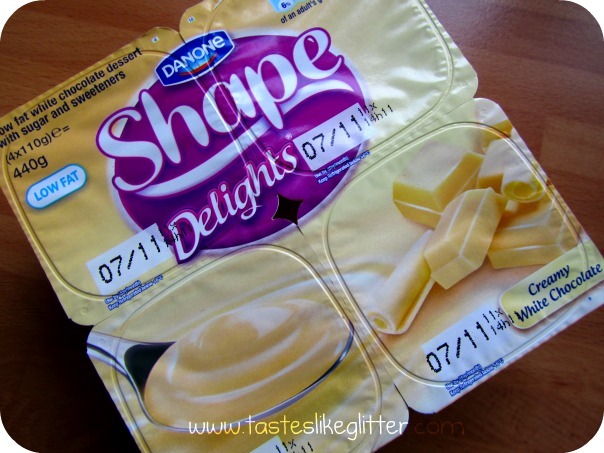 I'm not a fan of dairy yoghurts normally but these are yummy and also come in Caramel and Milk Choc. I came home from work the other day and was pretty much dead. I'd been so busy and I was super tired so really not in the mood to cook a big meal so I came up with this. 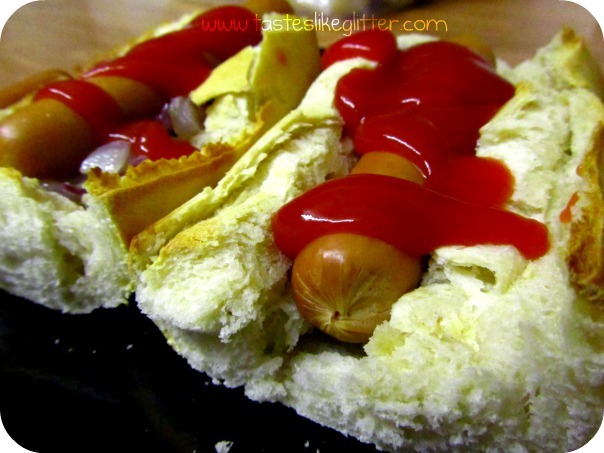 One of those part bake bread rolls with 2 meat free hot dogs and red onions, with a little too much tomato sauce. Was delish. Shame I don't have any more of these hot dogs. 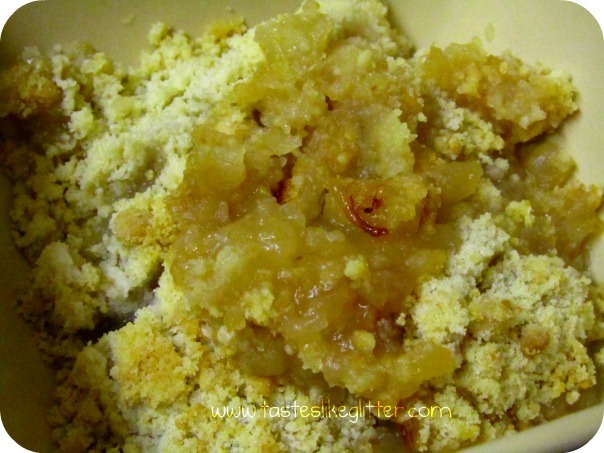 Then this evening my Dad made an amazing home made apple crumble with home grown apples. The topping was a cheat but sssh. ;) I felt like I was allowed it since I haven't had a proper dessert for ages. That's my second week down and I'm not feeling as good as last week but I'm still determined. I just want to get paid again so I can buy a whole bunch of fruit and veg.